Requirement: testing the 6 generation pitting machine with two types of dates samples. We picked up Salim early in the morning and drove him to our factory. He bought 2 boxes of dates samples to test the 6 generation pitting machine. One type of date is grown in Dubai, and the other is imported from Iraq. The test was very successful. And he was also interested in cubes cutting machine. 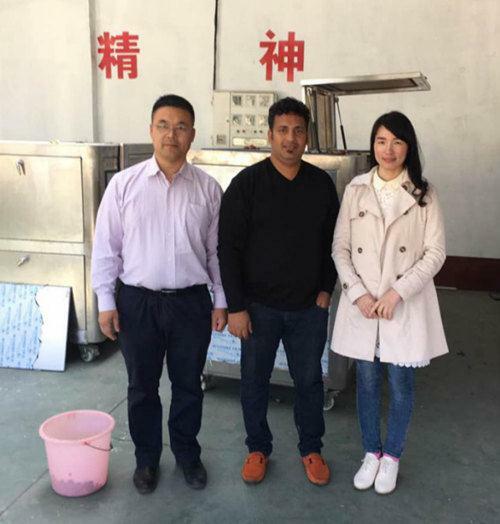 We discussed a lot about date pitting machine. Besides, we also had a great time with each other and exchanged cultures. 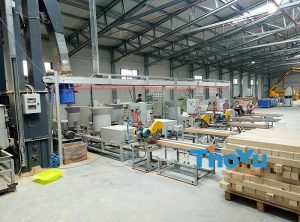 Here is the photo in our factory.